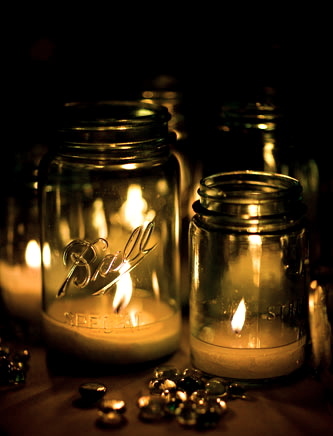 My Homemade Life: MOOD LIGHTING.......Say Hello To My Little Friend, the Mason Jar. 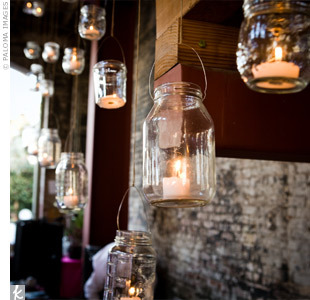 MOOD LIGHTING.......Say Hello To My Little Friend, the Mason Jar. Well, it's officially "Outdoor" time. Us Midwesterners have a very small window of "outdoor" opportunity, and before you know it, we're back inside, hiding in our houses, waiting for that perfect evening to come along. It's either raining, blistering hot, or utterly freezing around here. 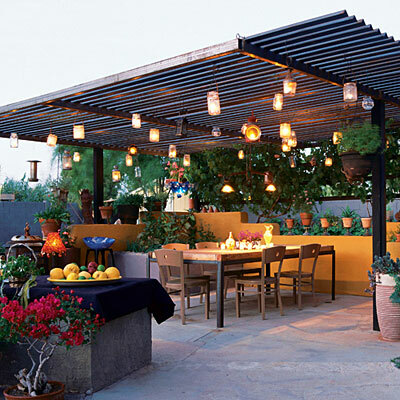 So when the weather is perfect for Patio Sitting, we are outside faster than you can say......well......faster than you can say ...."Quick get outside before the weather changes". My favorite outdoor sitting time is in the evening. To me, there is nothing better than sitting outside on a perfect night. And there aren't too many of those around these parts during a 365 day span. So when they finally arrive, we take full advantage of them. That's when Mood Lighting comes in. Say Hello to my little friend............the Mason Jar. 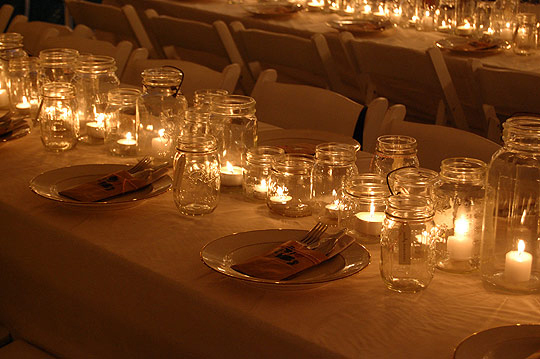 Mason Jars, or Ball Jars (depending on what your grandma use to call them) are inexpensive ways to light up that perfect evening. 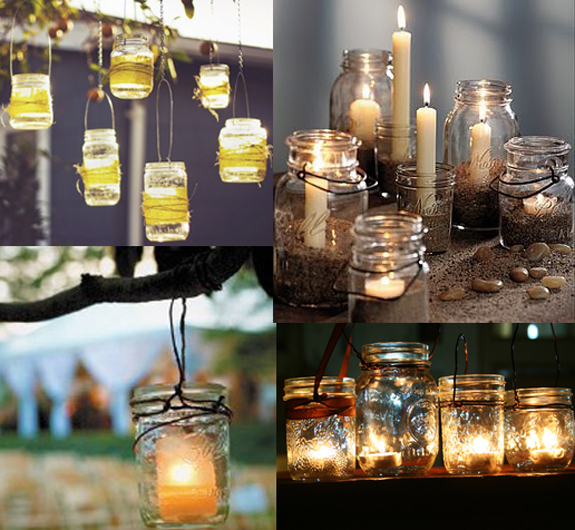 Just drop in a tea light candle or votive candle, and Voila........instant Mood Lighting. So many ways and creative uses for these little fellas. 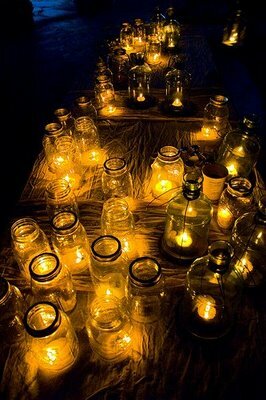 Almost any second-hand store you go into, you're gonna find Mason Jars for a pretty reasonable price, just waiting to be re purposed, and proud to give you that patio Mood Lighting. 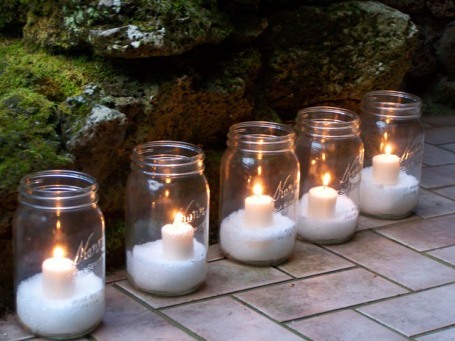 You can find bags of 200 tea light or votive candles at Michaels or Amazon, for about $20. 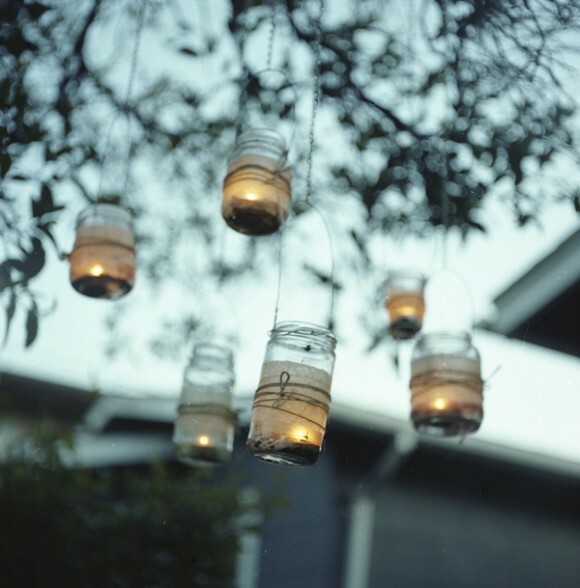 A very cute, clever, and inexpensive way to set a cozy ambiance to your perfect evening. Get out there and enjoy those beautiful evenings. And don't forget your little friend Mason, to help you create the perfect mood. What a great idea!! 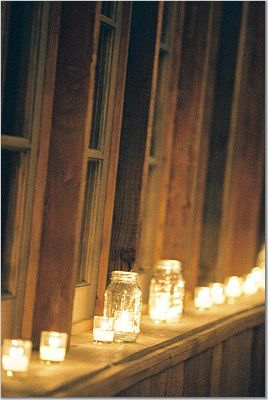 We live in a country setting so this is perfect way to light up our back porch! Thank you! Beautiful! Thanks for sharing this great idea. I'm going to re-post on our FB page. Much gratitude. Just so beautiful! Thanks for your inspiring ideas..
wow..really all lights design are fabulous really thanks for the sharing this great ideas but i know one good and best Visual chill out mood lighting starter kits with all types of accessories like remote control, LED controller, UK power supply 5m of RGB LED strip available in online store. We provide full touch control selection of colour, brightness & mode, 32 static colour adjustable brightness, colour fade mode, colour jump mode, 17 mode in total, comprehensive installation & instruction installation with a 1 Year warranty. And Get the sale under $59 from visualchillout.co.uk.